If you’re considering buying a home, the best thing you can do is educate yourself on the ins and outs of the home buying process. The following checklist will help you along your journey to purchasing your dream home. There are several different types of loan programs available for buyers today. The interest rates, terms, and percentages that can be borrowed can vary dramatically. In order to learn more about the different programs and which program best fits your needs, it is a smart idea to meet with some local lenders in your area and learn about what they each have to offer. Your local Savings and Loan banks will offer more traditional or conventional loans. These loans are often kept in-house, which means there could be more leniency with lending, but they may have higher interest rates. Mortgage brokerages will offer federal programs like FHA, USDA, and VA loans. The federal loan programs have stricter eligibility and approval guidelines but have a tendency to have lower interest rates. Once you’ve selected a lender and loan program that you feel comfortable with, you will want to get preapproved. Most lenders can do this relatively fast, most within hours. Getting preapproved will let you know where you stand financially as a buyer and is a necessity for proceeding with a realtor or a seller. You will learn what purchase price range fits within your finances and given a rough estimate of your monthly obligations. This may be one of the most important decisions you make in your home buying process, almost as important as choosing the home itself! It is important to hire a realtor because they are an expert in the field, are licensed, insured, governed by a strict code of ethics, and contractually bound to operate on behalf of your best financial interests. In most areas, they are generally a lot of realtors to choose from. If you’re not familiar with any local realtors, it is best to do your homework before choosing one. Find one that you can develop a good working relationship with and can trust. Many realtors have personal bios on their web pages or are active on social media to give you a good idea of their personality and style. Here at McMichael Realty, we treat our clients like family and strive to deliver the best customer service around! Touring and selecting a home. 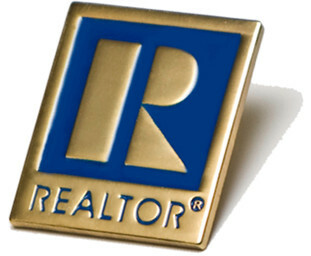 A good realtor will spend time getting to you know and your situation, family dynamic, wants, and needs. They will compile a list of homes they think will fit your requests and desires. You may also have your own list of homes you’d like to visit so be sure to share this list with your realtor. Don’t get discouraged if you tour several homes before finding the right one. Our agents at McMichael Realty will allow you to tour as many homes as it takes to make sure you are satisfied with your choice. Once you choose a home, your realtor will be there every step of the way to make sure you are taken care of. They will write the contract for you and negotiate terms and contract details to ensure you get the right price and are legally protected. After all, parties have agreed on the terms of the sale and signed the contract, your realtor will assist you in hiring the appropriate professionals for any assessments required by your lender, including but not limited to surveyors, inspectors, and appraisers. While your realtor is busy making your new home is ready for legal acquisition, you will be responsible for submitting your financial portfolio or any related financial documentation to your lender. This may include pay stubs, tax forms, dependent related documents, court judgements, and so on. Additionally, you will need to shop around for an affordable home owner’s insurance policy. Be sure to check with your lender to learn if your loan requires any special coverage. It can take 30-45 days to complete the purchasing process. Your realtor will keep you informed of the progress along the way and schedule the actual closing for you. At closing, you will be required to sign a large collection of documentation. Your realtor or a representative from the title company will go through each form with you to ensure you agree and understand the terms and conditions of each form. At closing, you will be given the keys to your new home! This is the end of the purchasing process and the beginning of a new and exciting journey into home ownership!